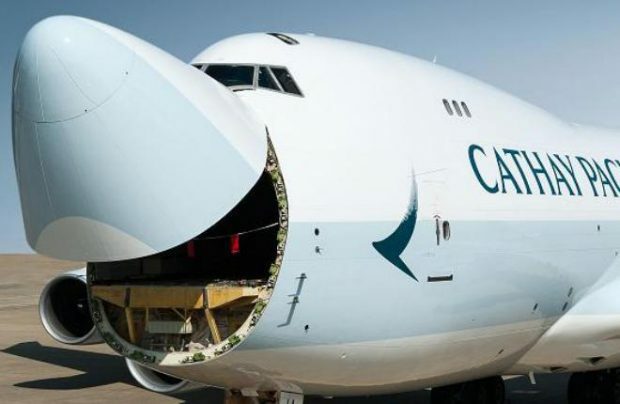 The new Russian cargo carrier Sky Gates Airlines, which is currently in the process of obtaining an air operator’s certificate, has acquired through operational leasing a Boeing 747-400F. The ex-Cathay Pacific Cargo freighter, MSN 32571/1271, was built in 2001. Initially the newly-delivered aircraft will be based at Moscow’s Domodedovo airport (DME), Peter Morozov, the CEO of Sky Gates, told Russian Aviation Insider. However, in the fall of 2017, after the new cargo terminal is completed at the recently-opened Zhukovsky airport (ZIA), the aircraft will be repositioned there. Morozov hopes that the new airline will enter service in October of this year, at the time when cargo traffic usually picks up. The CEO explained that the carrier will operate on both domestic and international routes, including destinations in Central Asia. During the first seven months of 2016, 518 thousand tonnes of total freight and mail were carried by Russian airlines, a 13% fall from the same period in 2015. Even the leader in this market, and essentially Russia’s only 747Fs’ operator, AirBridgeCargo, experienced a fall of nearly 20% in the observed period, to 279 thousand tonnes. It is believed that Sky Gates Airlines’ beneficiaries have got agreements in hand that guarantee the fleet’s utilization. Additionally, after the company transitions to Zhukovksy airport, it can tap into even more international routes, as the airport is not technically considered a part of the Moscow Aviation Hub. Active participation in Sky Gate’s founding is being taken by the Lithuanian holding company Avia Solutions Group, along with Rostec Corporation, which are working together on the development of Zhukovsky airport.